Eye Expressions Eye Shadow/Illuminator combines four cream eyeshadows and the MegaGlo Face Illuminator in one compact. The sheer cream eyeshadows apply and blend well, setting to a soft powder finish that doesn’t slip or crease, making these a step above the norm. 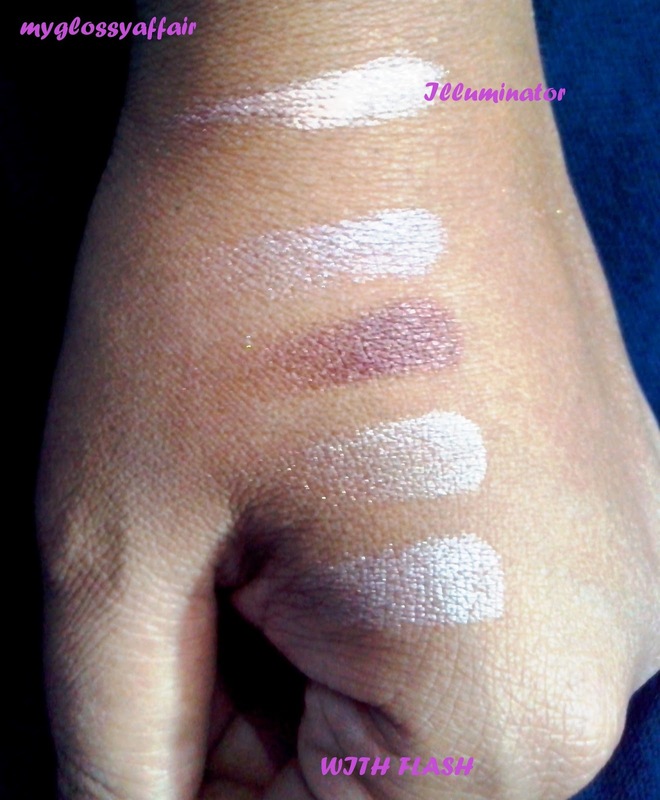 The eyeshadows and Illuminator are shiny, but the shine on the eyeshadows is softer. This is definitely worth a try if you find a color combination you like. 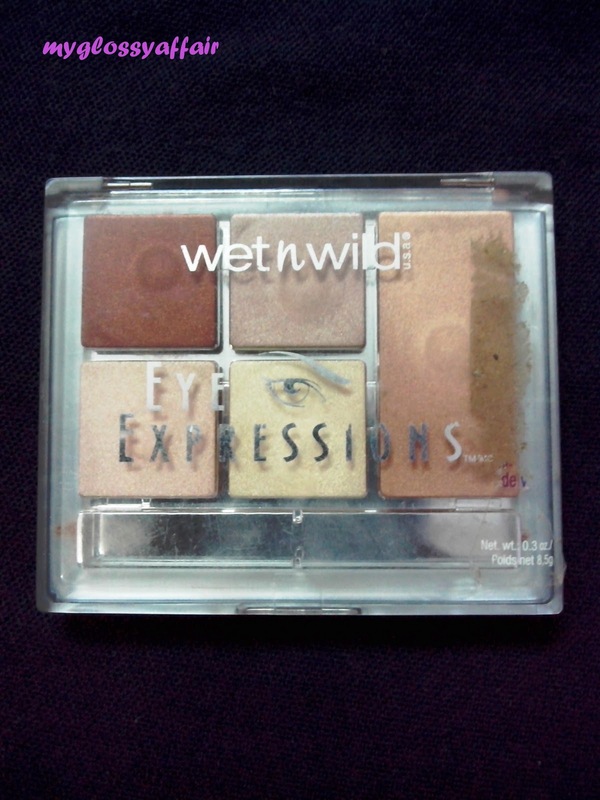 These are rich creamy eye shadows from Wet n Wild. 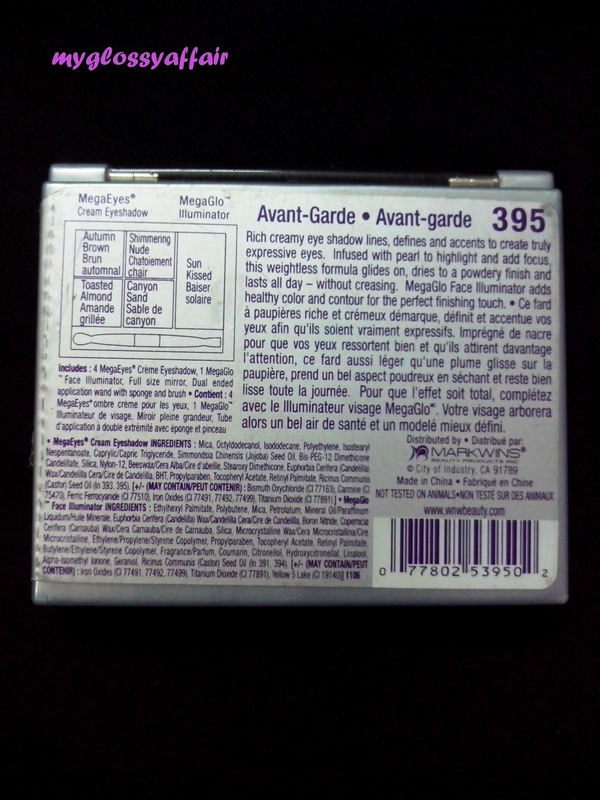 Powerful eye shadow effects in a pocket-sized package. Comes with full-size mirror and dual-ended eyeshadow applicator with sponge and brush. 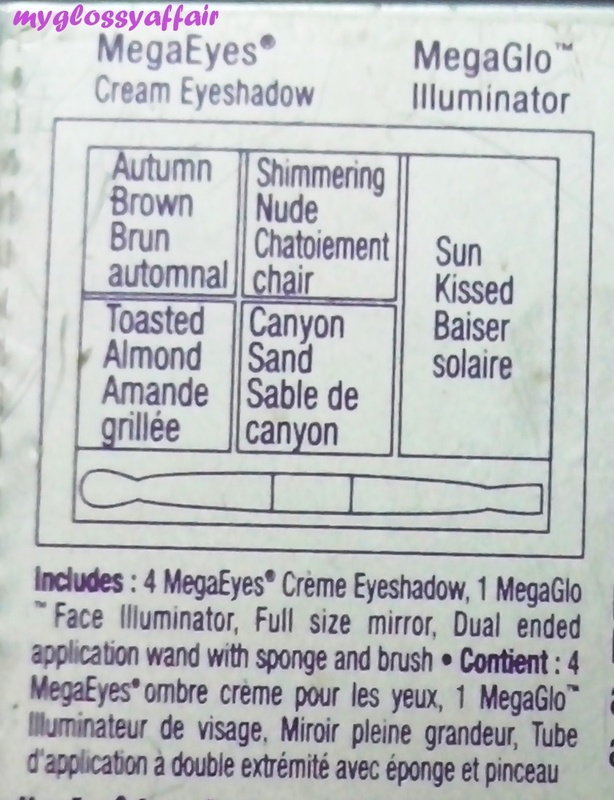 The box includes : 4 MegaEyes Creme Eyeshadows, 1 MegaGlo Face Illuminator, Full-size mirror, Dual-ended eyeshadow applicator. 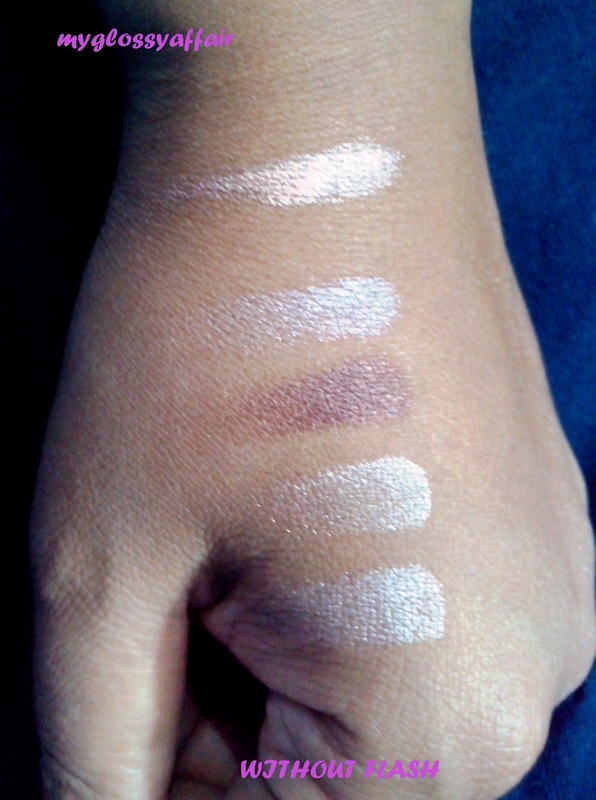 As claimed, these are really rich and creamy shadows which you can apply easily with your fingers. The applicator provided is of very bad quality and the sponge part broke within no time. Brush part was ok but I didn’t like that much, so discarded that too. As for the eye shadows, they are very good, easy to apply. Nice colors not so pigmented. I like this palette a lot 🙂. This palette has a mirror attached which is very convenient and good size. The illuminator is the one that I like most in this palette. 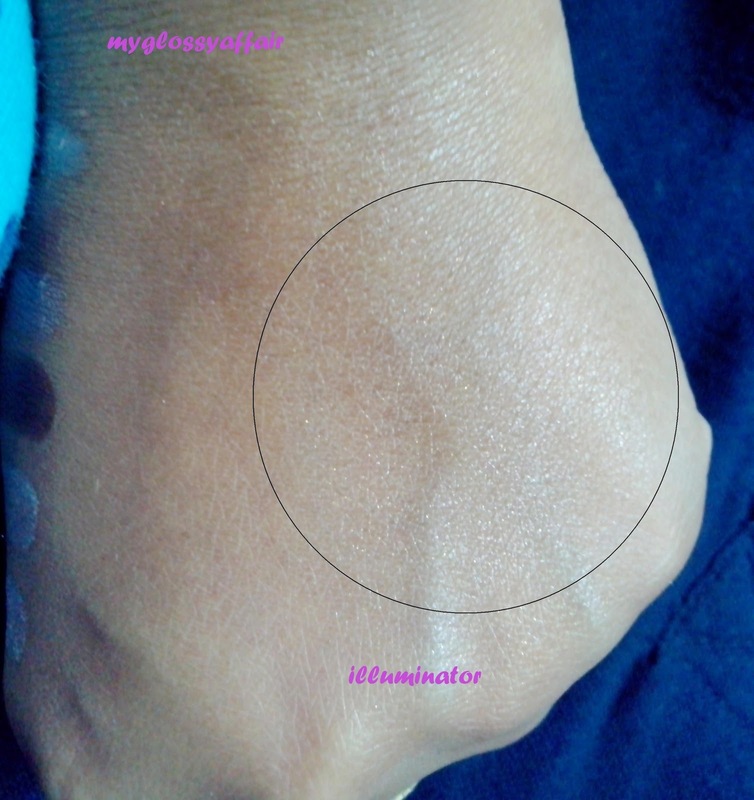 You can use the illuminator on your cheeks or as an eye shadow or simply as a brow highlighter. It works in all ways and gives good results. Then comes the dark shadow which I very much like in this palette. Since, this palette comes very cheap, nothing will bother you about it 🙂. The colors themselves are actually really pretty. But mostly, except the dark shade and highlighter, I only use them as a base. Because really who uses just cream shadows? Everyone knows they will crease no matter what. I think this palette is good and cheaper than other cream eye shadows and it does the job. 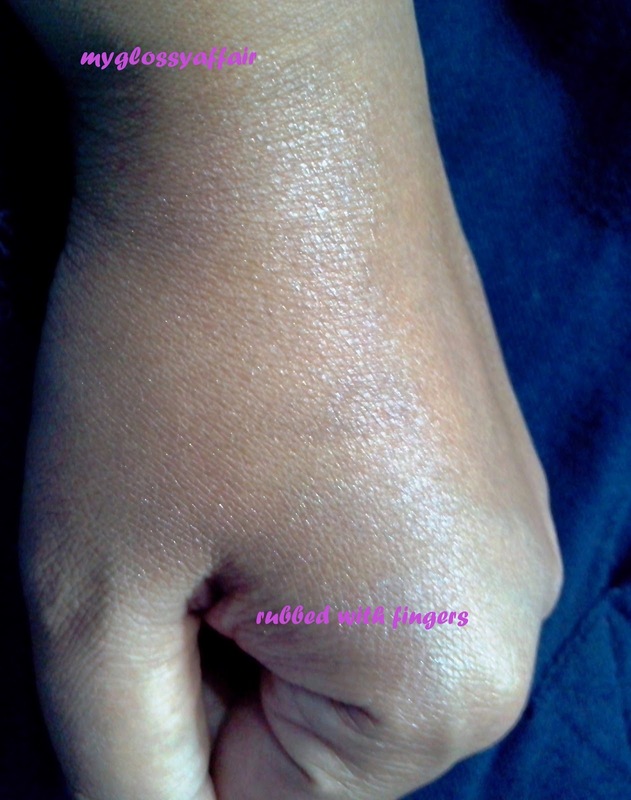 Lasting power is ok, doesn’t fade much on its own but all colors can be easily taken off when rubbed by fingers only.